DASH: Database for Analyzing Sustainable and High Performance Buildings™ has been working at the national level since 2004 to provide building industry professionals with measured performance information that enable better decision-making about building design, construction, operations, and maintenance. A web-based software solution that seeks to improve evidence-based decision-making in the building marketplace, DASH is working to become a comprehensive national repository of triple bottom line building performance data. DASH enables the consistent collection of quantitative data about green, sustainable, and high performance buildings while facilitating reporting and analysis based on that information. Users can anonymously compare, analyze, and benchmark their buildings and properties to make informed decisions about energy efficiency, occupant health, and overall building performance. DASH is working in collaboration with existing building information sources, as well as with individual users who include small and large property owners, managers, companies, organizations, and researchers. REVIEW - Facilitates direct DASH data input and storage that covers all aspects of building performance. Bulk data import is also available. Single Building Report - Summarizes normalized building performance across the triple bottom line, numerically and visually comparing the single building’s performance to the DASH Average. Can be instantaneously generated for any building to which a user has access. Portfolio Comparison Report - Summarizes normalized building performance across the triple bottom line, numerically and visually comparing a whole portfolio of buildings’ performance to the DASH Average. Can be dynamically generated for any portfolio of buildings to which a user has access. Global Report on Commissioning - Summarizes commissioning and operational performance outcomes for a single building, numerically and visually comparing building performance to the DASH Average and COMMISSION Average. Can be dynamically generated by any user with access to the commissioning topic. Single Building Commissioning Report - Summarizes commissioning and operational performance results for a single building, numerically and visually comparing building performance to the DASH Average and DASH Commissioning Average. Can be instantaneously generated for any building to which a user has access. COMPARE - Provides real-time comparison (both numerically and graphically) for user-selected buildings to DASH minimums, maximums, and averages for a set number and selection of normalized building performance statistics across the triple bottom line. This feature can be used for any building the user selects that s/he has access to; comparisons to the DASH Average are also provided. DISCOVER - Provides dynamic query capability so users can compare user-selected buildings to a user-defined filter. Filters can be based on building size, use type, geography, data year, classification, building height, number of floors, and average number of occupants. Due to user confidentiality concerns, comparisons to sets of buildings less than 30 are not available; all comparisons are normalized and users can change normalizing factors based on what is most applicable. Once filtered, DASH minimums, maximums, and averages for the filter set and values for the specified buildings are normalized and provided for a set selection of building performance considerations across the triple bottom line. DISCOVER can be used for up to three user-selected buildings that s/he has access to; quartiles signifying each building’s comparison to the DASH Average are provided. While many organizations are focused on various verticals of building performance data collection, no other effort has provided a singular place for building performance information across a building’s life and throughout its operational considerations. Using a consistent and industry-vetted set of data standards, while providing a user-friendly way to report, compare, and discover that information anew, DASH is addressing triple bottom line building performance in new way. DASH includes information about green, sustainable, high performance, and aspiring-towards-high-performance buildings from a diversity of building types, geographic locations, and operational structures. Building identification information is reported anonymously and confidentially. DASH Users have the ability to compare, analyze, and benchmark their buildings and properties to make informed decisions about energy efficiency, occupant health, and overall building performance. The development of DASH provides an opportunity to integrate numerous existing databases, bridging market segments with a comprehensive dataset that captures building performance information that includes the health and sustainability aspects of buildings, as well as building characteristic and financial data. In 2004, Green Building Alliance (GBA) started a national discussion about collecting more information on occupant outcomes in high performance buildings. That conversation developed into DASH as it exists today, focusing on building performance across life cycles and operating perspectives. The American Society of Heating, Refrigerating, and Air-Conditioning Engineers (ASHRAE) has been involved in DASH discussions since 2004 and began supporting GBA in the DASH development process in 2008. In 2010, a NIST grant to ASHRAE and GBA enabled DASH to move from discussion and planning into a tangible reality. Additionally, in the past several years, the world of building performance information has evolved from EnergyStar ratings and LEED certifications to the more recent municipal energy benchmarking requirements and more voluntary 2030 Districts. Even with an industry-wide push towards acquiring more information on building performance, few efforts have attempted to provide a secure environment where properties can share and compare performance for internal benefit and understanding, while simultaneously providing the opportunity to discover how performance is playing out for properties nationwide. Thus, DASH is both a response and solution to the lack of comprehensive building performance data collection and analytic tools that use an inclusive approach. DASH provides building industry stakeholders the opportunity to better utilize and understand building performance information in a way that improves decisions about creating high performance properties of all types and sizes. There is no time better than the present, when more people are focused on building performance than ever before, for DASH to emerge. DASH is a project of Green Building Alliance (GBA), a nonprofit organization headquartered in Pittsburgh, Pennsylvania, that inspires the creation of healthy, high performing places for everyone by providing leadership that connects knowledge, transformative ideas, and collaborative action. Founded in 1993, GBA was the first U.S. Green Building Council (USGBC) affiliate and is now a USGBC Chapter. GBA serves Western Pennsylvania and strives to be a regional and national catalyst by meeting the ever-growing and changing demands of the green building marketplace through multiple programs and initiatives. 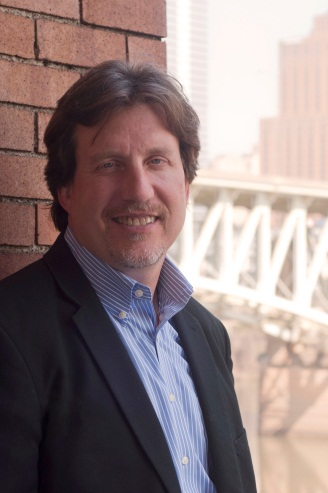 A native Pittsburgher and successful entrepreneur, Mike Schiller assumed his position at Green Building Alliance (GBA) in 2011. He is directly responsible for all of GBA’s staffing, operations, and funding, as well fulfilling the organization’s mission to create healthy and high performing places through program implementation. Having founded three for-profit companies, one nonprofit organization, and one charter school—all of which are currently thriving—Mike brings a great deal of passion and enthusiasm to his work. In Pittsburgh he is most well known for having established both Venture Outdoors, a nonprofit dedicated to promoting outdoor recreation in Western Pennsylvania, and Confluence Technologies, Inc., a leading provider of mutual fund back-office software applications. Immediately prior to coming to GBA, Mike worked for alternative energy startups and spent time writing, teaching, and reviewing business plans other new companies. Mike also teaches for the Wilderness Medicine Institute out of Wyoming, instructing others through first aid and first responder courses. While at Bankers Trust Company in New York City, Mike led the development of one of the very first PC-based, online information delivery systems for Microsoft Windows that was robust enough for deployment in Fortune 100 companies. He also designed products and applications for Mellon Fiduciary Services and has spent much time as a consultant, travel guide, and freelance writer for the Pittsburgh Business Times. Mike holds an MBA from Stanford University and a Master of Science in Electrical Engineering and Computer Science from Princeton University. Dr. Aurora Sharrard collaboratively co-leads two major GBA initiatives, DASH (Database for Analyzing Sustainable and High Performance Buildings) and the Pittsburgh 2030 District. Aurora has spearheaded DASH since 2007, building it from a national discussion into reality. The Pittsburgh 2030 District is a community of high performance buildings in Downtown Pittsburgh who are working collaboratively towards 50% reductions in energy, water, and transportation emissions by the year 2030. As GBA's Research Manager and then Director of Innovation, Dr. Sharrard created and implemented GBA’s Product Innovation Grant program, which awarded $1.2 million to 24 recipients over 4 years to support the commercialization of innovative green building products. Through GBA's Green Building Products Initiative, Dr. Sharrard focused on green labels, certifications, and life cycle assessment. She also convened and facilitated the Pittsburgh Climate Initiative, with which GBA is still a partner through the Pittsburgh 2030 District. Aurora has a Master of Science and PhD in Civil and Environmental Engineering with Emphasis in Green Design from Carnegie Mellon University; she also holds a Bachelor of Science in Civil Engineering from Tulane University. Prior to moving to Pittsburgh, Aurora developed wide-ranging experience in the design and construction industry, working as a geotechnical engineer, as well for design, survey, and construction firms. Bruce Hunn retired from the American Society of Heating, Refrigeration, and Air-Conditioning Engineers (ASHARE) in 2010, after serving as Director of Strategic Technical Programs from 2008 to 2010 and Director of Technology from 1997 to 2008. He is currently an active ASHRAE member and continues to consult on ASHRAE special projects related to building performance metrics. Hunn has been involved with the development of DASH since 2004, and has led ASHRAE’s co-management of the DASH planning process since 2008, when he became the ASHRAE representative to the DASH Consortium. Hunn coauthored the NIST proposal that provided DASH funding for its web development and commissioning module; he also co-chaired the DASH Metrics and Protocols Working Group. Prior to joining ASHRAE, Hunn served as head of the Building Energy Systems Program, Center for Energy Studies at the University of Texas at Austin. There, he directed research programs addressing energy use in buildings, including developing and applying building energy analysis computer programs in the analysis of heating/cooling systems for reduced peak demand and fossil fuel use in buildings. He also developed a building energy standard for the State of Texas and headed a five-year study on energy use patterns in Texas state facilities. Hunn has authored or co-authored more than 105 articles, technical reports, and papers, along with eight books or chapters, including Solar Heating Technologies: Fundamentals and Applications. He has given numerous presentations on topics related to passive solar energy, energy efficiency in buildings, and fabric solar shades for residential and commercial buildings. Hunn holds a Doctorate, a Master of Science, and a Bachelor of Science in Mechanical Engineering from Stanford University, as well as a bachelor’s of arts in Engineering from the University of Redlands. GBA is tremendous grateful for the support of all of the organizations who have been integral to DASH’s past, present, and future success. The American Society of Heating, Refrigeration, and Air-Conditioning Engineers (ASHRAE) has been a tremendous supporter of DASH since its conception, directly assisting in DASH planning since 2008. As DASH has been a national conversation and volunteer supported since 2004, quite a few building performance experts and interested parties have engaged in the DASH planning process in various capacities and engagement levels. Whether part of official DASH advisory groups like the DASH Consortium, Steering Committee, or Software Advisory Group -- or working on one of several DASH Working Groups -- GBA and DASH are deeply indebted to these individuals and organizations for their support, as well as others who are too plentiful to list here! Individuals listed below are with their affiliations at the time, to the best of our recollection. Jenifer Seal Cramer, SeaCray Inc.
Dominic Ebanks, Acuta Digital, Inc.